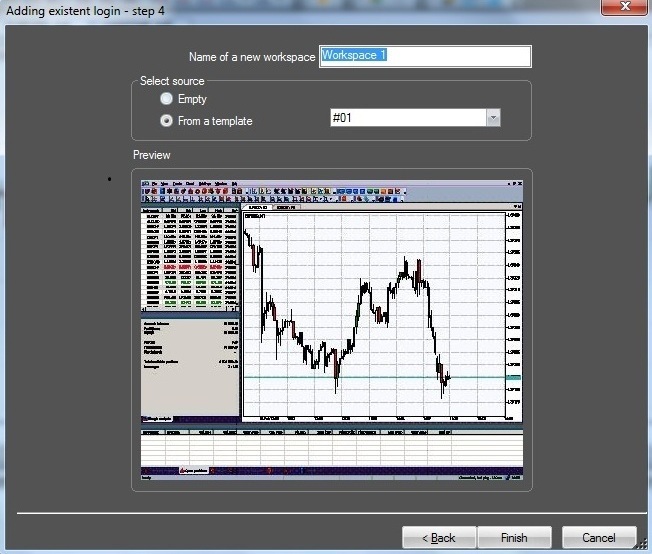 To add the opened Real or Demo account to the NetTradeX terminal, you need to open the terminal, go to "File" from the main menu and choose "Add existing login". 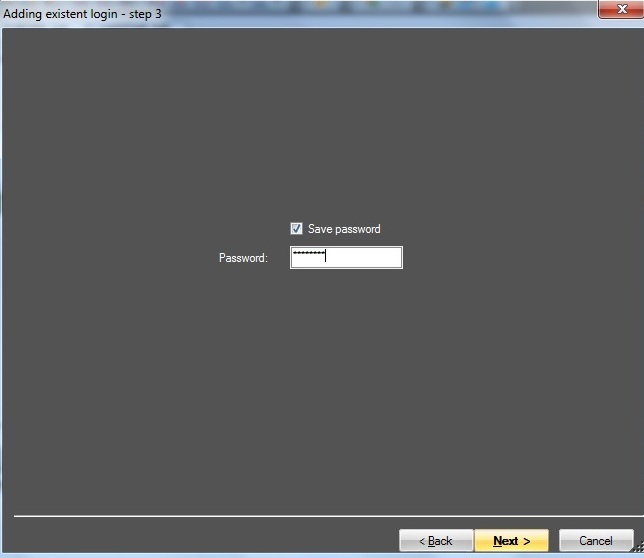 "Adding existing login – step 1" pop-up window will appear. You need to indicate your account number. 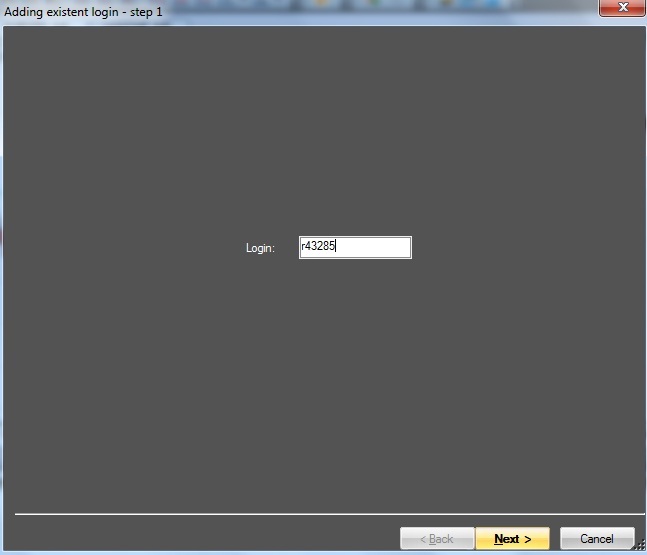 In case you are adding a Real account, you need to write rxxxxx and in case of Demo - demoxxxxxx. 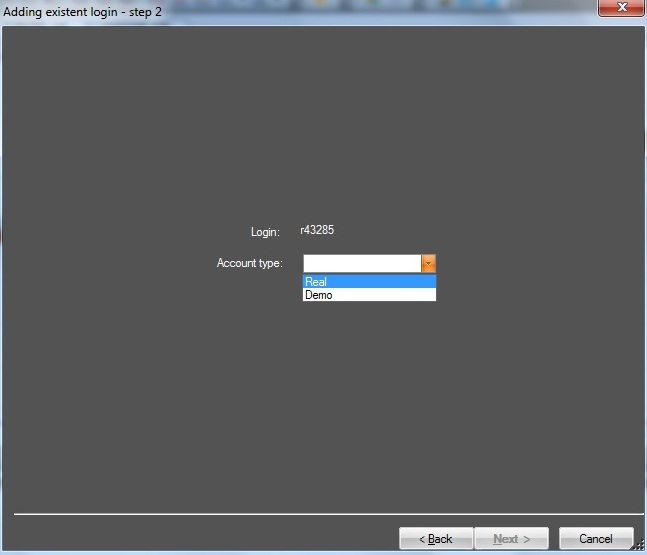 After pressing "Next" button you need to indicate your account type Demo or Real. 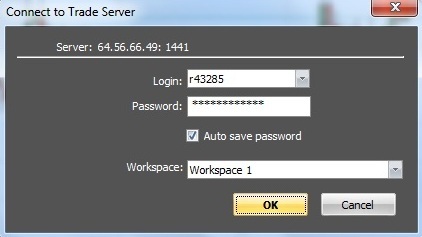 In the next step you need to write your account password and tick the "Save password" check-box, so as you are automatically connected to that account every time you open the terminal. The fourth and the last step is choosing your "workspace" name and template. 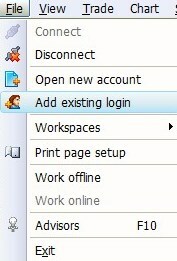 After clicking on the "Finish" button you can see your account in the "Navigator" window in the drop-down list of Logins. 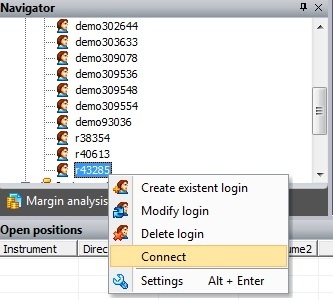 For connecting the account select it from the list of "Logins" in "Navigator" window. You just need to double-click on it and connect to that account by pressing "OK". Additionally, you can connect to your account if you call the context menu by right-clicking on the account number and selecting "Connect" option. Important: The account is added once on each PC from which you want to connect to your account.